YouTube is regarded as the most popular video sharing site all over the world and enables you to watch videos online, or upload videos for sharing. If you are thinking about how to post YouTube videos on Instagram with Android or iPhone, then this article is just right for you. There are multiple ways available to post YouTube on Instagram with your phone, and several ways may need the help of your computer. 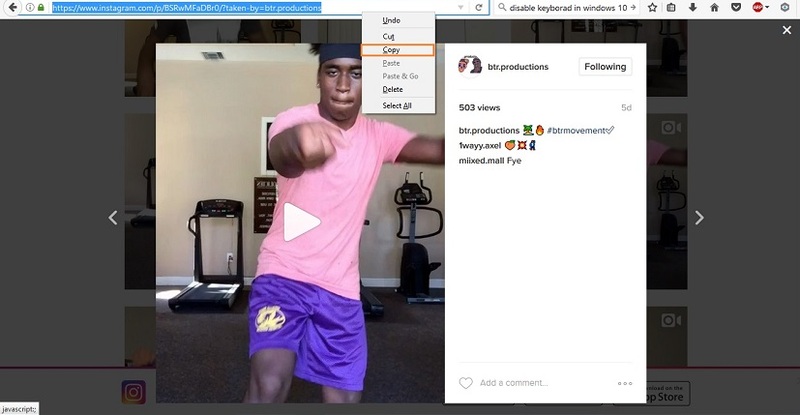 In this article, we will tell about these waysso you can easily post YouTube on Instagram in just few taps. If you are using iPhone and looking to download and post YouTube videos on Instagram, you'll find out that you can’t download YouTube videos directly on your mobile using iPhone. There isn't any app is available for iPhone to download YouTube videos directly on their iPhone. But there is one solution available that you can download these YouTube videos first to your computer using video downloader software and then transfer those videos to your iPhone. By using this way you can post YouTube on Instagram with your iPhone. iTube HD Video Downloader is developed by KeepVid for Windows and Mac users to download videos with easy process. This video downloader software helps you to download videos from YouTube, Facebook and other 10,000+ video sharing sites. 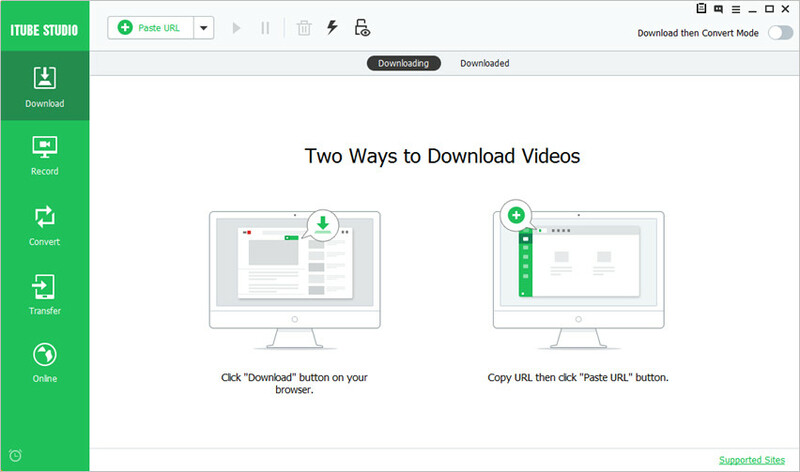 iTube HD Video Downloader offers you two ways to download videos, one is using the Download button in your browser, and the other is by pasting video URL. This part will introduce how to post YouTube videos on Instagram on iPhone with the help of iTube HD Video Downloader. Supports YouTube, Vimeo and more than 10,000 video sites to download videos. It enables you to download videos in high quality. This video downloader helps you to convert videos to more than 150 video and audio formats. It allows you to download videos in batch. This video downloader allows you to download YouTube to MP3 directly. This program helps you to transfer videos to your mobile directly after downloading. Step 1 Download and install iTube HD Video Downloader on your computer, then start it. 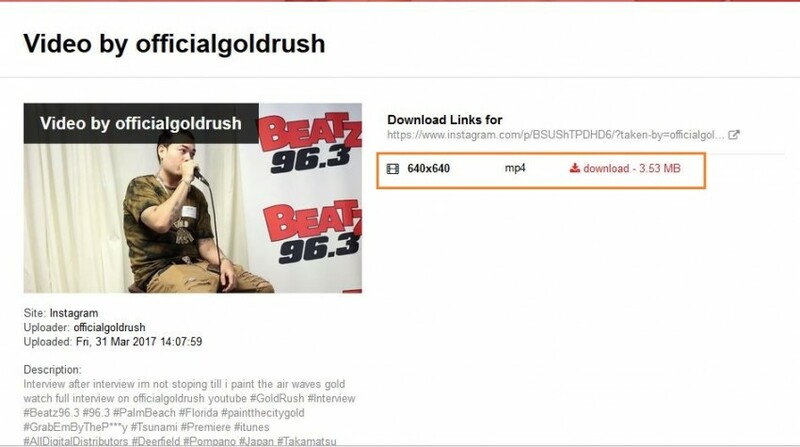 Step 2 Now go to YouTube and copy the URL of video which YouTube video you want post on Instagram. Step 3 Now click on “Paste URL” in the main interface of iTube HD Video Downloader. When you click on this button it will automatically detect the URL and show you different formats of that video. Now choose MP4 format to and click on “Download” button because Instagram only allows you to upload MP4. Step 4 iTube HD Video Downloader will start downloading YouTube video now. Once the downloading process finishes, you'll need to right-click the video and choose Open File Location to locate the YouTube video on your computer. Step 5 Now drag this video into Dropbox, and then the video will be uploaded to the cloud service. After a while (the time depends on the size of the video), open Dropbox on your iPhone and find the video, then download it to your Camera Roll so that you can upload this YouTube video to Instagram on iPhone directly. Please note that even though iTube HD Video Downloader enables you to transfer downloaded videos to your iPhone, it won't be helpful for you to upload YouTube videos to Instagram on iPhone. Because the transferred videos will be saved in your Videos app, and not the Camera Roll, which only allows you to watch on your device. SnapTube is a newly developed Android mobile app by KeepVid, which has 10-year experience in downloading multimedia files from Internet. This app is totally free and doesn't have ads or malware. 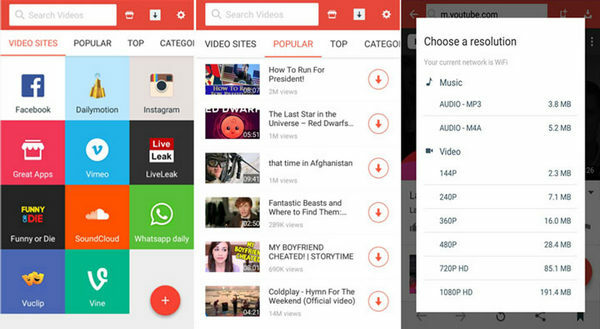 SnapTube app allows you to download YouTube videos and then upload to Instagram with one tap. You are allowed to download videos from 28 video sharing sites in total. In this part, we're going to introduce how to post YouTube videos on Instagram with Android mobile by using SnapTube. Step 1 Browse the link for SnapTube app in your Android mobile browser, and then download the APK file in your Android device. After that, install the app in your device. Step 2 Now tap on YouTube icon in the homepage of SnapTube, and look for the video which you like to post on Instagram. Play the video and now you will see a “Download” button in the bottom right side of interface. Step 3 Choose the quality in which you like to download. Download video in MP4 format because Instagram only supports MP4 format to upload videos. Step 4 SnapTube will start downloading videos now. As long as the downloading process finishes, you'll get the videos in Downloaded tab. Now you can go to Instagram and upload the YouTube video to Instagram. Please note that Instagram only allows you to upload videos no more than 60 seconds, so it asks you to crop the video before uploading. 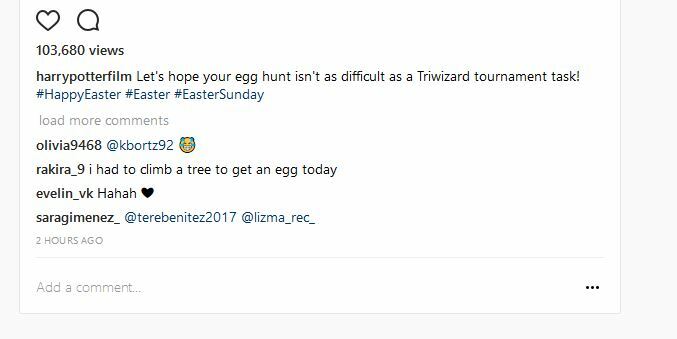 Conclusion: In this article, we've introduced two ways to post YouTube videos to Instagram with Android mobile and iPhone. First way for posting YouTube videos to Instagram on Android is easy to handle, but for the second method, you'll need the help of a desktop video downloader program. As there isn't any app available for iPhone users to download YouTube videos for Instagram directly, iTube HD Video Downloader will be their best choice because the video downloader makes the whole downloading process very easy to be done.